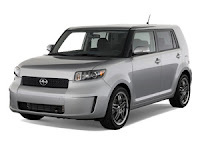 Fuel efficiency and great styling all in one affordable package. This low mileage, like-new vehicle is still under warranty. With only 20,100 miles, it’s a great buy! $14,900. Just over 36,000 miles on this stylish vehicle. Plenty of room for the whole family. $19,500. Equipped with the popular Sahara trim, this Jeep is extra nice. It has a hardtop as well as alloy wheels. Just 28,900 miles- now $27,900. Well-equipped with a moon roof, leather and much more. This 22,000 mile beauty won’t last long on our lot. $16,900. To see all of these vehicles and more, visit lmcu.org/autocenter.